You can save a lot of money by opting to buy a pre-owned Ford pickup instead of a brand-new one. Remember, Ford is known for producing incredibly long-lasting trucks that can withstand the test of time. 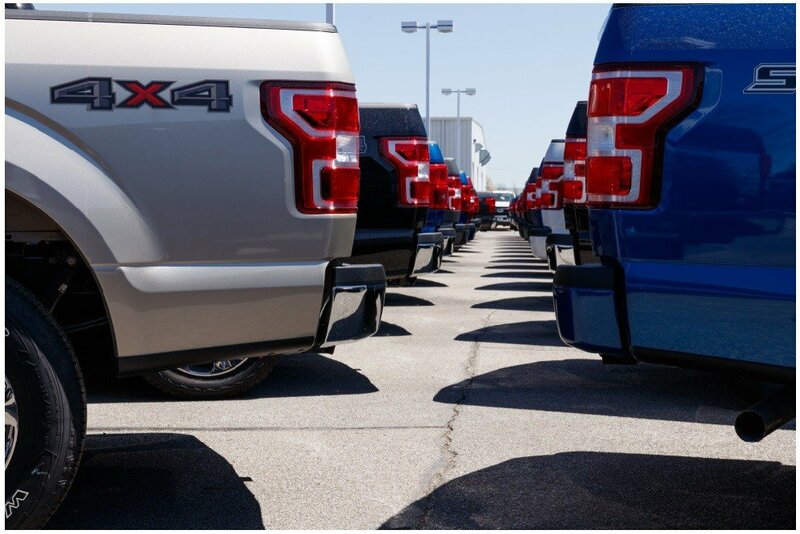 When visiting a used Ford truck dealer in Concord, you’ll have a wide range of different models to choose from. Here are some valuable tips on what to look for in a used Ford truck. Before deciding on a tuck, it’s especially important to evaluate it’s condition. From the engine to the axles, everything needs to be examined. Consider getting a mechanic to check out the truck beforehand. Although you can buy a truck from a private seller, it’s a far riskier option. Shopping at a dealership will give you an extra sense of security. Before being put up for sale, Concord used Ford trucks are inspected by a team of certified automotive technicians. Upon taking a test drive, you can expect all of the necessary maintenance to be performed. A vehicle history report is also provided, which details any past accidents. Never make the mistake of buying a truck that has rust. Not only is rust an expensive issue to fix, but it also jeopardizes the truck’s safety. Frame rust is especially dangerous. Remembering to check under the truck for corrosion will prevent a big headache later on. Don’t choose a Ford truck based solely on its appearance. It’s important to consider how you’ll actually be using the truck. If you plan to travel off the beaten path, you may need a model that comes equipped with an off-road package. The standard suspension and wheels may not be able to handle the more challenging terrain. Towing is yet another big factor that may impact your decision. Heavy-duty models, such as the Ford F-250, are engineered for pulling especially big loads. If you plan to drive your Ford truck on an everyday basis, fuel efficiency may influence your choice. If this is an important consideration for you, be sure to research the truck’s EPA fuel economy rating in advance. Although you may sacrifice some performance, trucks equipped with a less powerful engine tend to save you more money at the pump. Some drivers will need more passenger room. Families will prefer a crew cab model that provides four full-size doors and a spacious backseat. On the other hand, a Ford truck equipped with a regular cab is perfect for daily commuting. Evaluating your financial situation should be a top priority. The last thing you want is to purchase a pickup that’s beyond your budget. Ideally, the payments shouldn't exceed 20 percent of your monthly income. Low-mileage trucks will obviously demand the most money. Don’t automatically write off a truck that has more miles on its odometer, because a well-maintained Ford truck is likely to remain dependable for years to come. You should also factor in the cost of insurance. The best approach is to contact your insurance provider to get a quote ahead of time.